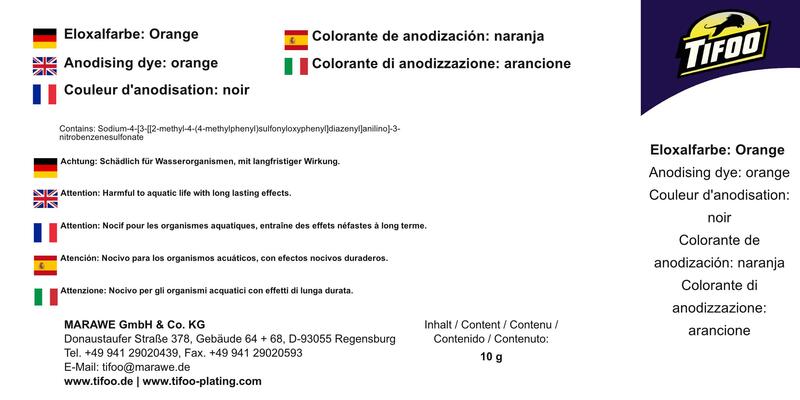 Product information "Anodising dye "Orange" (10 g)"
The finish for a successful anodisation is the final dye. We offer you exclusive anodising dyes of highest quality. The Tifoo Anodising dye "orange" allows you to dye aluminum surfaces in different shades of orange. Just mix the dye into the desired amount of distilled water (can be purchased at any petrol station). 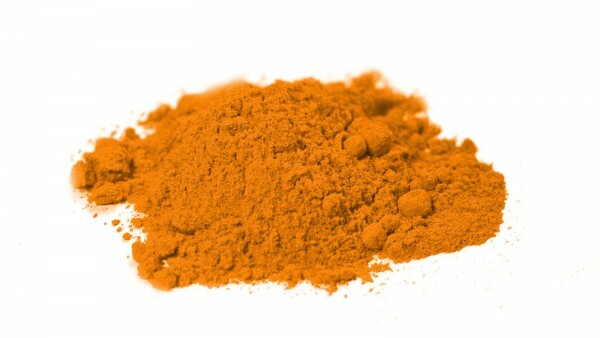 Related links to "Anodising dye "Orange" (10 g)"
Instruction manual for Tifoo Anodising dye "Orange" (10 g) as PDF file. Customer evaluation for "Anodising dye "Orange" (10 g)"